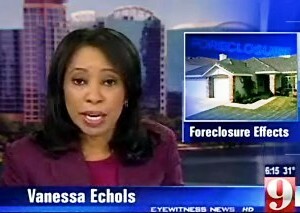 ORANGE COUNTY, Fla. -- Central Florida homeowners living in areas with high numbers of foreclosures may soon pay a hefty price for the slumping housing market. Many communities are making homeowners pay special assessments once or twice a year while others are increasing homeowner's association fees to cover regular expenses. The Phillips Landing subdivision in Dr. Phillips is raising HOA fees by about 15-percent. But some homeowners said it's unfair to force them to foot the bill. "They are always going to go up, go up, but I think it's unfair to have to pay for somebody else's mistakes," said Mike Wuinones, a homeowner. Some communities in Central Florida have increased fees 25-percent this year since owners of foreclosed properties aren't paying up.